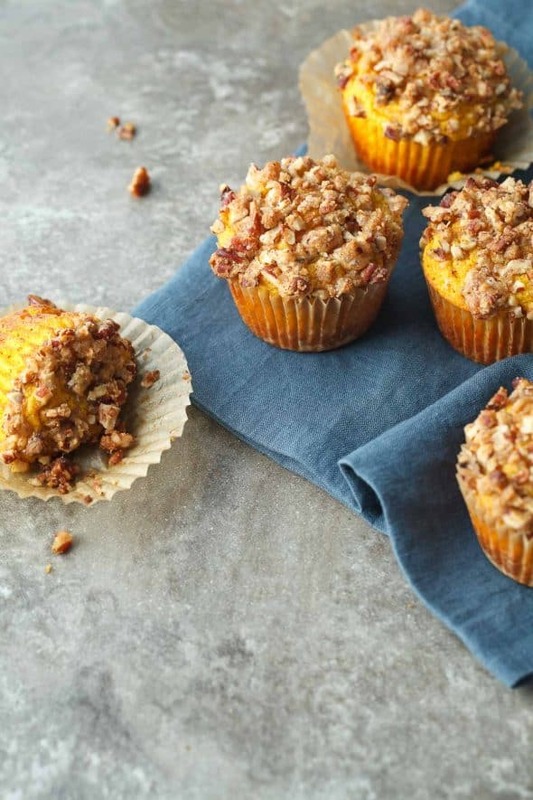 Tender and subtly spiced butternut squash muffins topped with a crisp pecan streusel. The cooling off period has arrived; crisp mornings, cooling evening breezes, and sunny days minus the suffocating heat of summer all signal the arrival of fall. In a season that’s known for its plethora of pumpkin flavored eats and treats, I actually tend to gravitate more towards the other winter squashes like kabocha, acorn and of butternut . 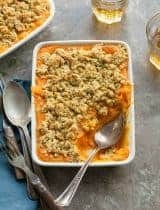 With its vibrant orange color and sweet flesh, butternut squash has all the fall-inspired appeal of pumpkin but more flavorful and with less stringy mess. 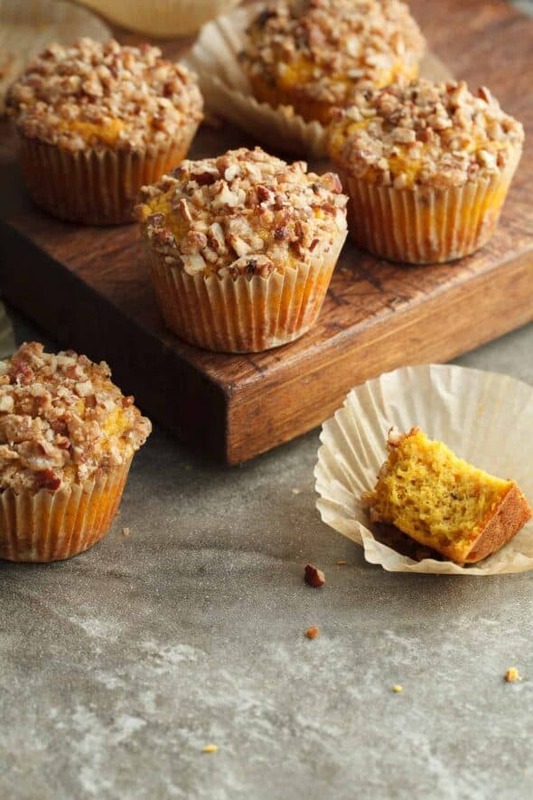 And while it’s delicious in savory dishes (link), it’s also incredible in sweets and baked goods like these butternut pecan muffins. 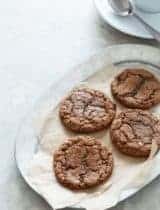 The subtle sweetness of the squash coupled with fall flavors like maple, pecan, cinnamon and nutmeg make these a natural for this time of year. 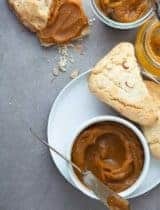 You can use homemade butternut puree from steamed or roasted squash for the most robust flavor or make life easy and simple use a can. 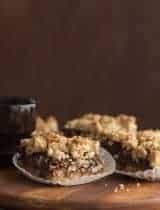 They’re soft and tender and capped with a sprinkling of cinnamon pecan streusel for crunch. 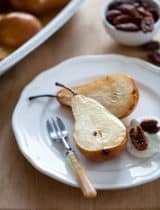 Delicious served plain or with a smear of nut butter (pecan butter is my favorite with these), they make a wonderful light breakfast or an afternoon snack. 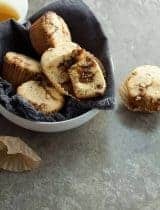 Special enough to serve for the holidays but easy enough to make them an everyday eat, these butternut squash pecan muffins are the perfect treat to ring in the fall season. Drizzle cut butternut squash with olive oil to coat. Place butternut squash face down on a baking sheet. Transfer to oven, and cook until tender, 25 to 30 minutes. Flip squash halves over and set sheet on a wire rack until cool enough to handle. Scoop flesh into a blender or food processor and puree until smooth. Refrigerate in an airtight container until needed. 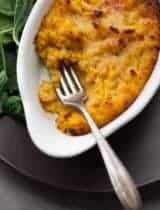 In a large bowl, combine the eggs, maple syrup, oil, ½ cup of the butternut squash puree, and vanilla. Sift in the coconut flour, tapioca, salt, baking powder and spices. Whisk until well incorporated. 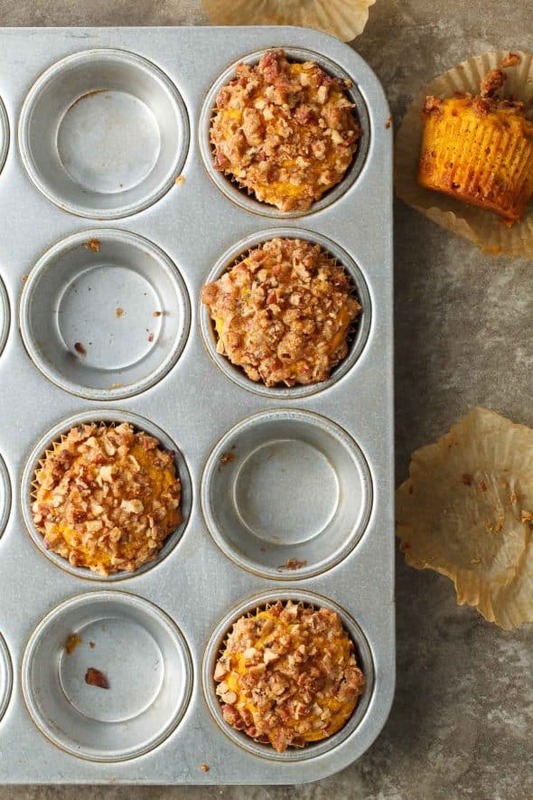 Fill six paper-lined muffin cups with batter, set aside. 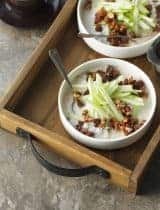 In a small bowl, combine the maple sugar, maple syrup, pecans, tapioca flour, oil, cinnamon and a pinch of salt. Sprinkle over batter. Bake at 400° for 18-20 minutes or until a toothpick inserted in the center comes out clean. Cool for 5 minutes before removing from pan to a wire rack.